We have a feeling it's going to be an emotional video. The video comes out Friday, Nov. 16, alongisde a 64-song collection of unreleased material. 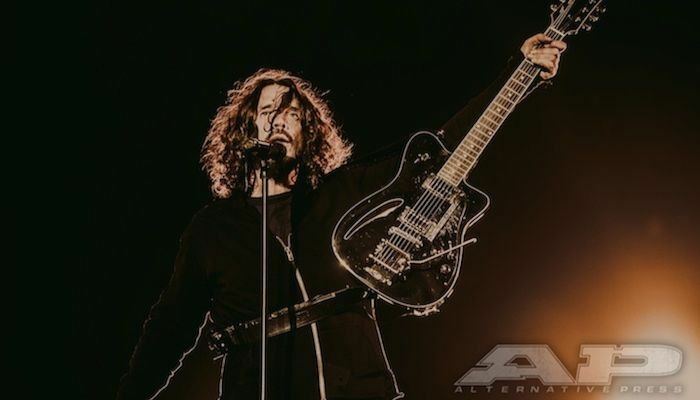 The Soundgarden and Audioslave frontman died May 17, 2017 at age 52. His death was later confirmed as a suicide by hanging. In February, Cornell’s cover of Johnny Cash‘s “You Never Knew My Mind” surfaced. The song was allegedly the last track Cornell recorded before his death. Then, in September, details emerged about a posthumous record with previously unreleased material. The project has since been confirmed as a 64-song collection of previously unheard material curated by Cornell’s wife Vicky, as Consequence of Sound notes. “When Bad Does Good” is one of the tracks in the set and the music video is coming out Friday, Nov. 16, alongside the new album. Seattle at the Museum of Pop Culture unveiled a statue honoring Cornell last month. The ceremony was initially planned for September but moved to Oct. 7 following “overwhelming response from the Seattle community and fans,” according to Vicky. Vicky commissioned and donated the statue created by artist Nick Marras to MoPOP. It shows Cornell in a signature pose with his boots, dog tag and long hair. The widow added the museum was the “perfect place” for people to check out the museum and pay homage. “MoPOP serves to celebrate the Seattle music scene and the luminaries who have emerged from the Northwest. Chris was a key figure who has made a lasting impact on generations worldwide,” Jasen Emmons, the artistic director of MoPOP, says.